Mr. Anderson formed Anderson Capital in 1993 and brings in excess of 30 years of merger & acquisition and transaction experience involving a variety of firms in the financial services, government contracting, telecommunications, information and technology, manufacturing, distribution and natural resource industries. During the course of his career, Mr. Anderson has directly initiated, negotiated, closed and managed the post-acquisition integration of numerous transactions ranging in size up to $125 million and involving total consideration exceeding $500 million. Prior to founding Anderson Capital, Mr. Anderson was Chief Administrative Officer of First Commonwealth Savings Bank, a $300 million institution based in Alexandria, Virginia. He joined First Commonwealth from Bethesda, Maryland based, York Associates a large commercial/multifamily mortgage lender with a $3 billion servicing portfolio where he served as the Chief Financial Officer. Earlier he served as the Director of Corporate Development and Strategic Planning of UNC, Inc. a $500 million NYSE listed company. Earlier he served as a Senior Business Analyst with BOC International an international manufacturer of industrial gases and welding products. Mr. Anderson began his career on Wall Street at Morgan Stanley Dean Witter and subequently joined Werthiem Schroder. 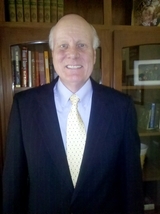 Mr. Anderson earned his bachelor of Arts degree in Economics and Business Administration at MacMurray College.